Circuit Specialists stocks affordable insertion/extraction tools that make working with D-sub connectors a breeze. 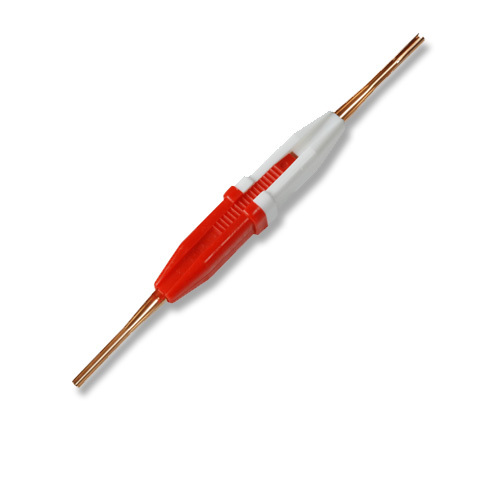 Use the red end to insert a pin into, e.g., a D-sub crimp shell and the white end to quickly and easily remove a pin. At four inches long this insertion/extraction tool is compact and lightweight. Save even more by buying in bulk.